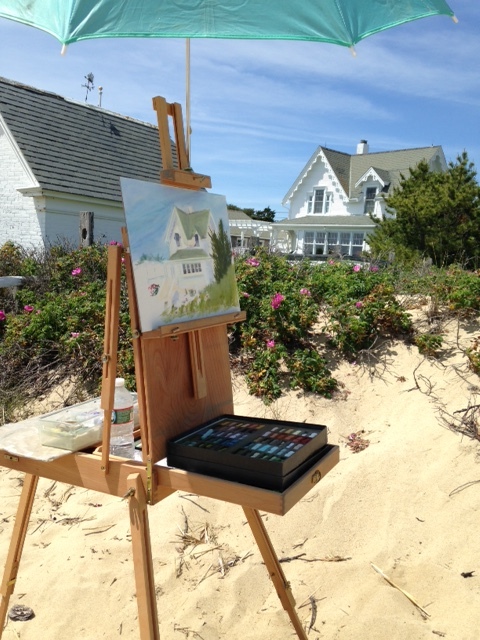 Addison Art Gallery is celebrating the artist Edward Hopper (1887-1967) and his legacy on Cape Cod. I am pleased to be an invited artist to create new work inspired by Hopper and the places he painted. In 1933 he painted the front of the Capron House which is known as the Mayo Beach Lightkeeper’s Cottage. Instead, I chose the more relaxed back door view which overlooks the beach and bay of Wellfleet Harbor. 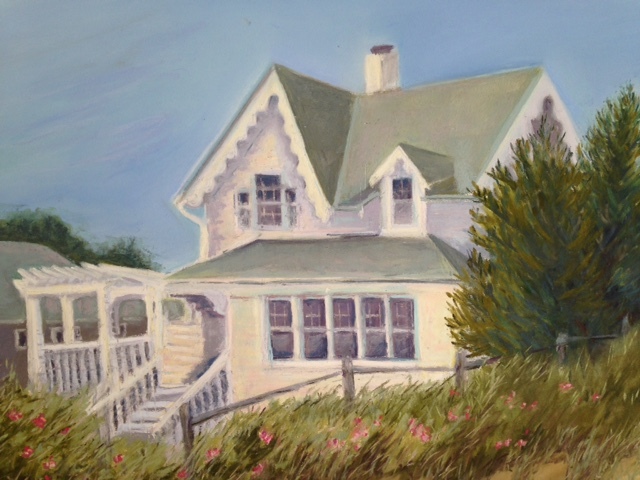 The painting will be displayed at Truro Vineyards, Truro, MA on July 16, 2015 in an “After Hopper” event of the Addison Art Gallery. Technical notes: Ampersand pastel board with various pastels including Nu Pastel, Rembrandt, Unison, Terry Ludwing, and pastel pencils.